Our stage in life has profound influences on our emotions. A well-established age-related positivity effect is putatively related to time perspectives—older adults have a limited time perspective and a greater motivation to experience positivity than young adults. 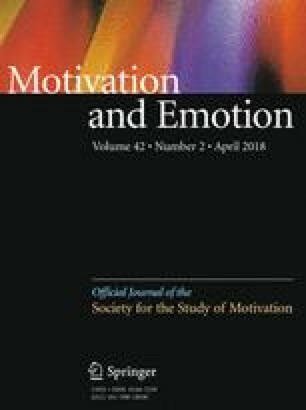 Ambiguous emotions (e.g., surprised expressions) have both a positive and negative meaning, offering a highly relevant model for examining this developmental trend. Indeed, there are stable, trait-like individual differences in valence bias, or the tendency to interpret surprise as positive or negative, with a developmental trend toward positivity (older adults are more positive than young adults, who are more positive than children). However, little research has determined the extent to which the bias can be shifted. In three experiments, we found that ambiguity ratings were sensitive to time perspectives, even within a population of college students, and that this effect is relatively long-lasting. Results extend socioemotional selectivity theory and demonstrate that our life stage may have profound effects on otherwise stable emotional responses. We thank Krupa Patel, Hang Nguyen, Kaitlyn Winter, and Aaron Hoagland for help with data collection.